Ensuring that the manufacturing environment is free from gluten and allergen contamination on surfaces is a top concern. Consistent validation of cleaning protocols is an essential step in controlling allergens in commercial kitchens. Emport offers the GlutenTox and AlerTox lines of test kits, which can detect gluten and allergens on working surfaces and equipment. GlutenTox Pro Surface is designed to test surfaces for gluten contamination and comes with everything you need to conduct fifty environmental tests (and no food tests). For facilities that test ingredients and surfaces, both GlutenTox Pro and GlutenTox Sticks can test that surfaces are free from contamination. The procedure for testing surfaces with GlutenTox Pro and GlutenTox Pro Surface is identical. 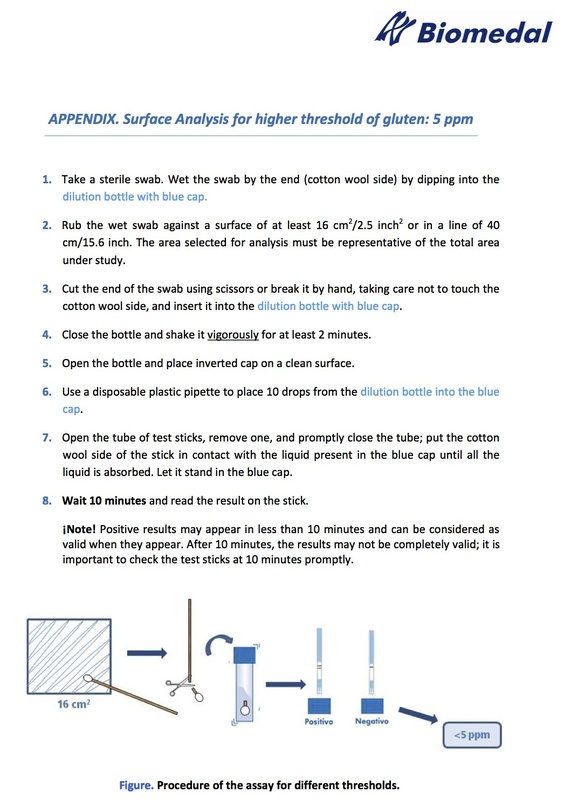 GlutenTox Sticks requires some additional equipment: a pipette to measure dilution solution, and a microwell plate (disposable plates are included with the kit and a tray can be provided on request) or 1.5mL tube to put the dilution solution and test strip into. No equipment is required to test surfaces for gluten with GlutenTox Pro. In response to many of our clients who must test difficult-to-reach nooks and crannies, we have also developed a method to test surfaces with GlutenTox using a cotton swab (not provided with the kit; use any cotton-based swab of your choosing). 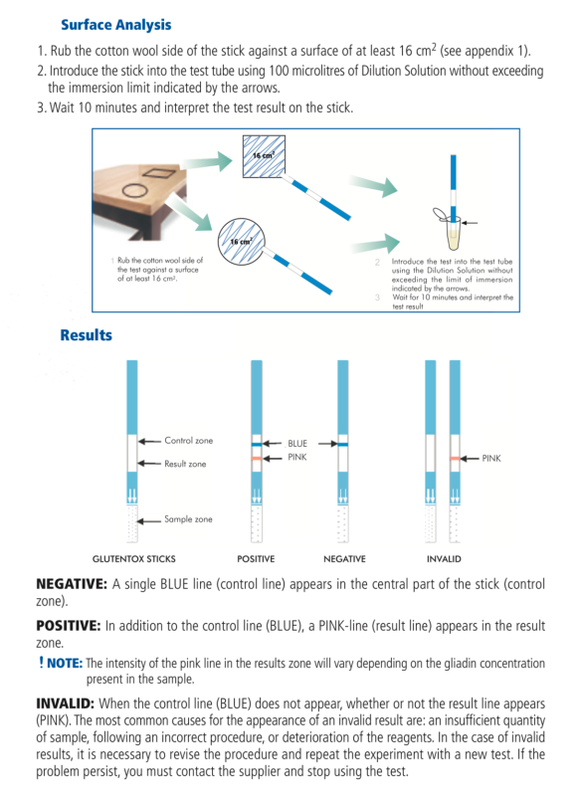 This method is slightly less sensitive than applying the test strip directly to the surface, and can instead detect surface gluten to a minimum level of 5ppm. Keep in mind that applying a parts per million designation to surface testing is different than food testing: after all, no one is eating the countertops! The ppm designation indicates the amount of gluten that would be present in a kilogram of absolutely gluten-free dough, after that dough were kneaded on the surface in question. Emport offers a full line of allergen test kits that can detect traces of common allergenic ingredients including those mentioned in FALCPA. 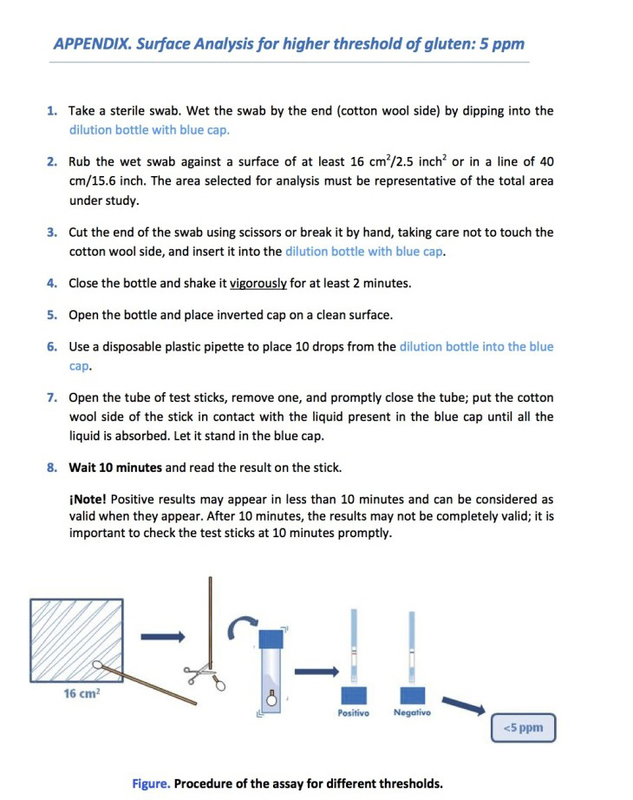 The processes for adapting the AlerTox kits for surface detection of contamination is similar to the GlutenTox Pro and Pro Surface test kits and requires a cotton swab or pad. The tests are rapid and easy to conduct, with results in less than ten minutes. The allergen surface testing procedure can be used only for a qualitative detection of allergen contamination (absence/presence) in a surface sample.